Over the past year I have begun to transform my class into a project-based classroom. This constructivist approach to learning has allowed me to really incorporate technology into the classroom. Students are creating projects that contain many different technologies, and I have been able really become a type of consultant in the classroom pointing out technologies and information for them to use in their projects. It is my students who have become quite creative with their projects, and they have begun using a variety of online resources to create videos to show their learning. They have created all types of videos from short animated videos to fully edited movies. I have kept a list of the many different sites students have used to create their projects for other classes. Take a look. Memoov: http://memoov.com/ A unique video site based in Israel. They provide the characters and settings and you provide the audio for each of the characters. These videos can be created and shared on a variety of websites like YouTube and others. My students found it simple to use and very intuitive. They were able to create interesting videos in just two days. 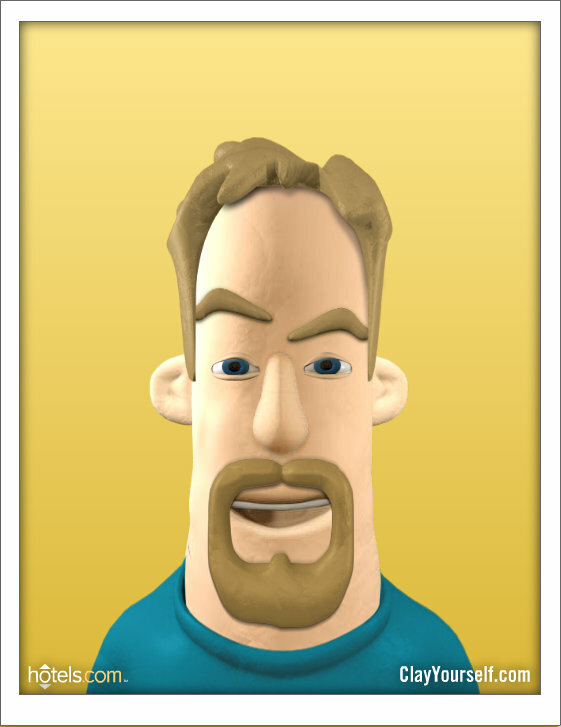 Voki http://www.voki.com/ Voki allows users to create talking avatars to present information. You can use your own voice or choose from voices provided for you. This is an easy and fun website to use. Go!Animate: http://goanimate.com This site allows you to create animated stories to present information or quick stories. They have many different options and objects to choose from and are constantly adding new material. Xtranormal: http://www.xtranormal.com This is a Text-To-Movie site that takes a typed script and animates the voices for you. Then you add expressions and movement to the characters and create unique videos. My students love to use this website to create videos. However, there can be questionable material on this site at times. Dvolver http://www.dvolver.com This site allows the user to pick a scene and characters then type in the dialogue to create your videos. Simple site with limited scenes and characters, but with some creativity students can create some great videos. Zimmertwins http://www.zimmertwins.com/ Like devolver this site allows students to create animated cartoons with written dialogue. Again, it has limited scenes and characters just like devolver. The quality of the final movies is quite good. Digital Films http://www.digitalfilms.com/ Like the two sites above, this site also creates animated cartoon movies with written text. I have not had any students use this one yet, but it seemed fairly simple to use when I took a quick look at it. Aniboom http://www.aniboom.com Aniboom allows users to create animated characters and create aniumated stories. This site is a little more complex than others listed here, but it can be used by Jr. High and High School students. Fluxtime http://www.fluxtime.com/animate.php Like Aniboom, this site creates animated cartoons and scenes; however, it does have a bit of a learning curve and may take students some time to learn how to use it. Animasher http://www.animasher.com/ This is a fun site that allows you to create a variety of different types of animated movies with real video and 2 dimensional pictures. This is lots of fun, and students can really get creative with this website. Students can even load their own video and images. EditorOne: http://editorone.ideum.com/ EditorOne is an easy online editor that allows students to create videos online and share them with a variety of sites. This is very easy to use and has some great video clips for students to use. Photo Peach: http://photopeach.com This is an online slideshow creator that students can use to quickly and easily create slideshows to present information or a story. It’s a simple design and easy to use. Students can make these slideshows in a matter of minutes. Animoto: http://animoto.com This is a video editing website that allows users to use their own images and video to create their videos. This website does produce high quality videos that look professional and are well put together. 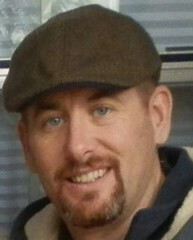 Stupeflix: http://www.stupeflix.com/ It’s another video editing site that integrates well with Flickr and Twitter. This site, like the others, allows you to create your own videos with your material. Masher: http://www.masher.com Masher provides you with a lot of different footage to use along with your own material. Also you can add a variety of special effects, and you can share this with many different online services. Tiger Film Dub http://www.tigerfilmdub.com/ This site is a lot of fun! You add the subtitles to Chinese movies. Kids loved playing with this site, but often got off task. This was so much fun that I often got off task with them as well. This could be used for projects, but be careful there is some content that is not appropriate. Classic TV http://www.grapheine.com/classiktv/index.php?lang=uk I found this site on Larry Ferlazzo blog, and it goes right with Tiger Films Dub above. This site provides you video that you can dub over with your own message. Again, lots of fun, but students can get off task really easily. Overstream http://www.overstream.net This is another site that allows you to add subtitles to foreign movies and to present your own satire or message. Kids love to play with this site and can get very creative. 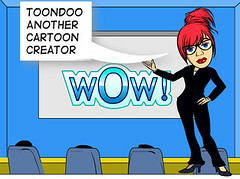 ToonDoo http://www.toondoo.com This site allows students to create cartoon strips to present an idea or concept. It’s a neat way to see if your students truly understand the topic discussed in class. Big Huge Labs http://bighugelabs.com/poster.php Here students can create movie posters to show that they understand concepts presented in class. This is a lot of fun, and, while limited in scope, students can use this to create some neat projects.